This compilation from July 2006 is probably the most enjoyable set I've ever pieced together. On a now defunct 'Garage Forum' someone came up with the great idea of making a garage comp from their 45s bought between April - June 2006. Those who entered the task had three months to come up with a decent set of records to compile but no one could spend more than $300. This was quite a stiff budget but it meant looking around and finding good deals and cheap 45s. From memory I think I was just within budget, spending about $290 on the records on this comp. 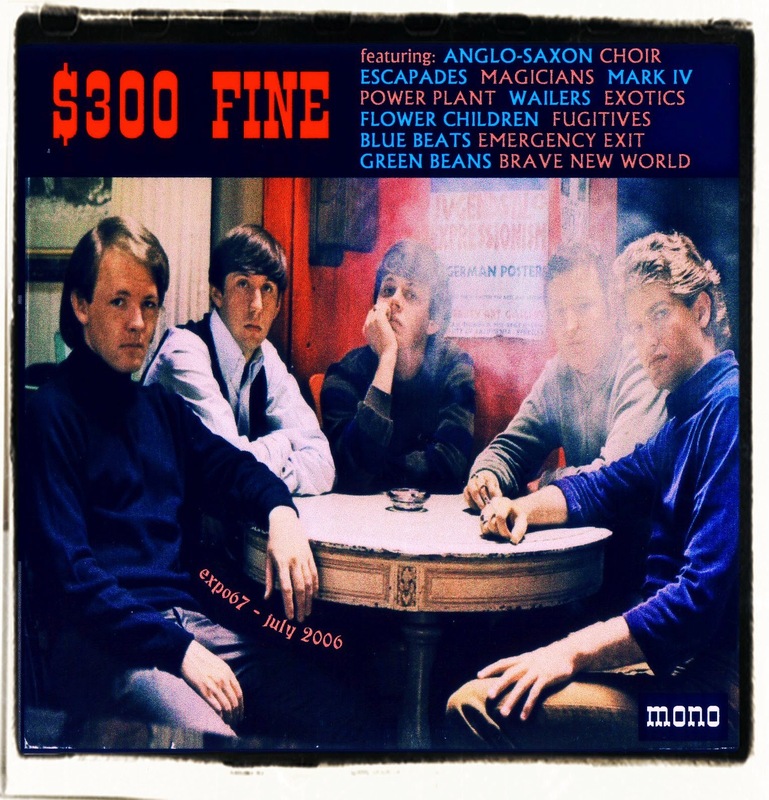 I chose to call my set $300 Fine which is obviously a nod to The Litter LP titled $100 Fine. Just my way of sticking with the garage theme. I also used a rather cool picture of The Wailers from 1966 to adorn my sleeve. Well done and well put together. Quite enjoyable.